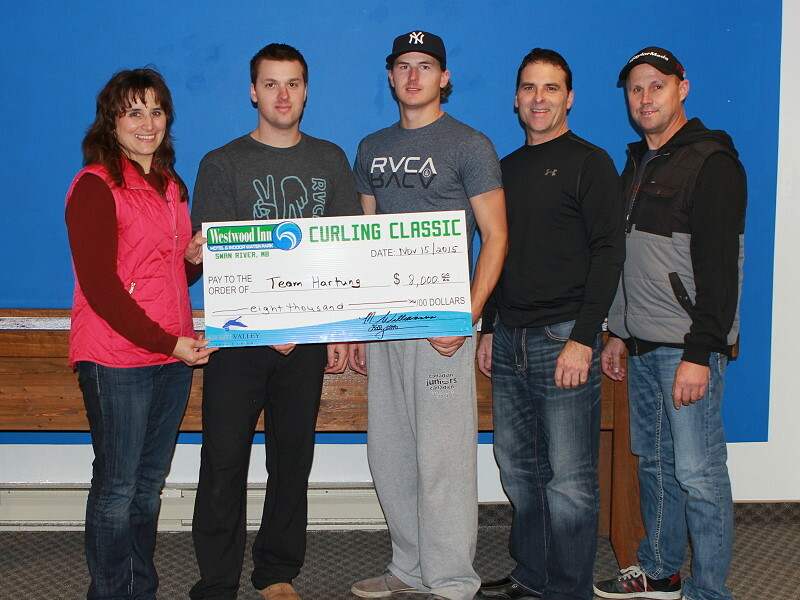 Jeff Hartung team from Langenburg Saskatchewan as the Champions of the Westwood Inn Curling Classic. Click picture for a larger version. Presenting the check of $8,000 is Sandra Tibble, committee member to skip Kody Hartung, third Tyler Hartung, second Jeff Hartung and lead Claire DeCock. A total of 12 teams participated and they entertained the spectators with great skill and excellent shot making. Thank you to all of the sponsors and volunteers of the Westwood Inn Curling Classic it was a great success!